My husband’s grandmother was the only girl born to Alfred & Amelia, her name was Rachel Nutley. 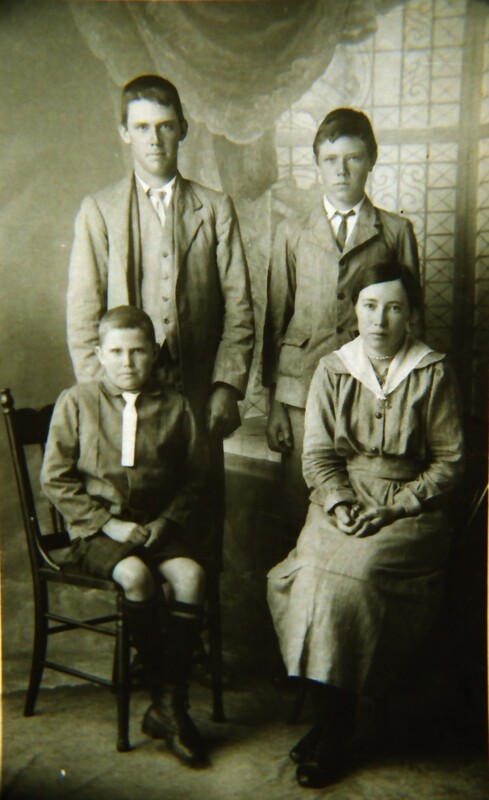 Here she is pictured with her 3 brothers – James, Walter and John. Rachel Nutley was a twin sister to Alfred, who only lived four days. Her other two brothers, Thomas and Edward, also died when they were just babies.